I always loved grilling down at the park on those big, heavy, open air grills. 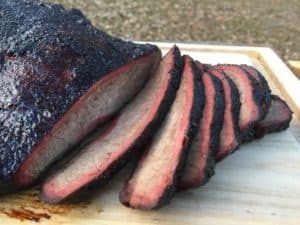 The simplicity of those grills really connects you with the beauty of live fire cooking, I could list a hundred flaws with the design of these grills but the reality is that they work and they are beautiful. If you are in the market to buy a park style grill then you have two basic choices. You can buy a commercial grade park grill that is designed to withstand the type of abuse that you get in public spaces or you can get a cheaper grade grill that will work fine for standard backyard grilling applications. In reality there isn’t much difference in the price of the two options so it I can’t imagine why you wouldn’t go with the commercial grade grill which is one of the best charcoal grills you can buy for less than $200. There are a couple of different manufacturers of commercial grade park grills but my favorite is Pilot Rock out of Cherokee, Iowa. The grills from Pilot Rock are made of 10 gauge steel which is about 1/8th of an inch thick and are the same ones that you will find is State Parks across the country. These grills come with two post sections which combine into a single, 41 inch, mount. Ideally you will bury the post 12-15 inches into the ground. The grills are not powder coated but are protected by high temperature grill paint. The grill head itself has the ability for a 360 degree rotation so you can adjust for wind conditions if needed. The cooking grates on these grills can be adjusted to four different levels. Here is a nice video walk through of what these grills look like and how to set them up. Pilot Rock offers a small, medium and large version of their grill. The small grill is the CPB-135 model and has a 15×14 inch cooking grate. I would suggest passing on this grill as the 210 square inches of grilling space really isn’t very large. 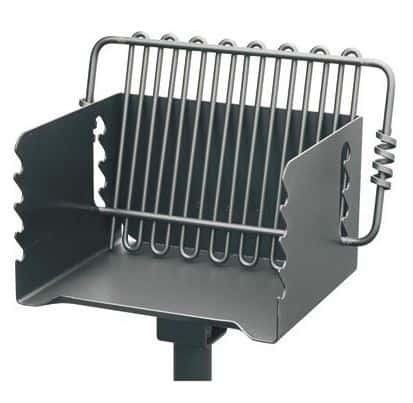 The medium grill is the H-16 B6x2 model and has a 16×16 inch cooking grate. This is the most popular grill that Pilot Rock sells. The large grill is the Jumbo model and has a 24×16 inch cooking grate. In addition to being larger. the grate on the Jumbo has a griddle section on the left side of the grate. The park grills from Titan are manufactured in China and are designed to be lower cost versions of the Pilot Rock grills. Here is a (very biased) head to head comparison of the products. The two main reasons to consider the Titan product are price and mounting options. Titan offers its primary grill in a traditional pole mount where you have to bury a portion of the pipe but also offers a rolling cart or metal base mount. Either of the other two mounts will let you set the Titan grill up on your deck, an option not available with the Pilot Rock grills.